Folk Under the Clock came into being on September 23, 1986 in Peterborough, Ontario. Our first concert was Scottish singer-songwriter Dougie Maclean. Since then we’ve held more than 100 shows over the course of 31 seasons. 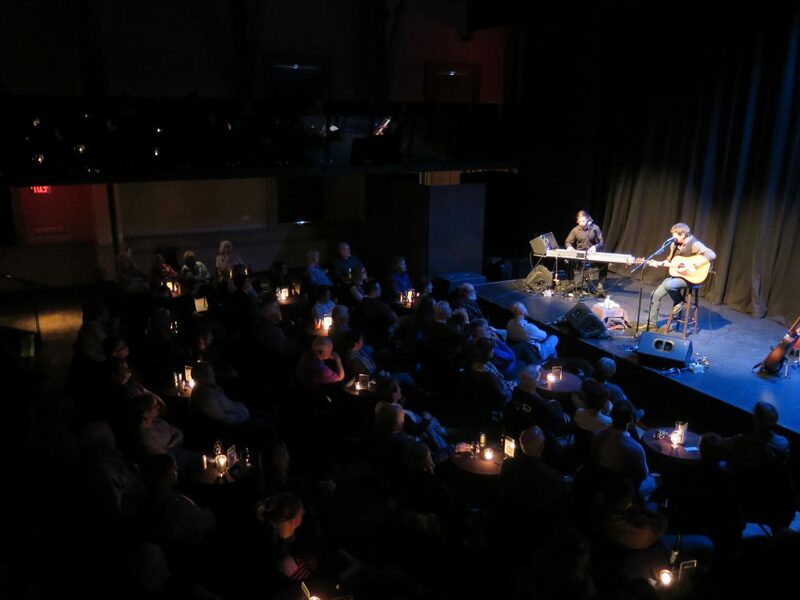 Our concerts are primarily held at the Market Hall, a theatre located under Peterborough’s downtown clock tower. The venue provides a warm, historical backdrop to our shows. 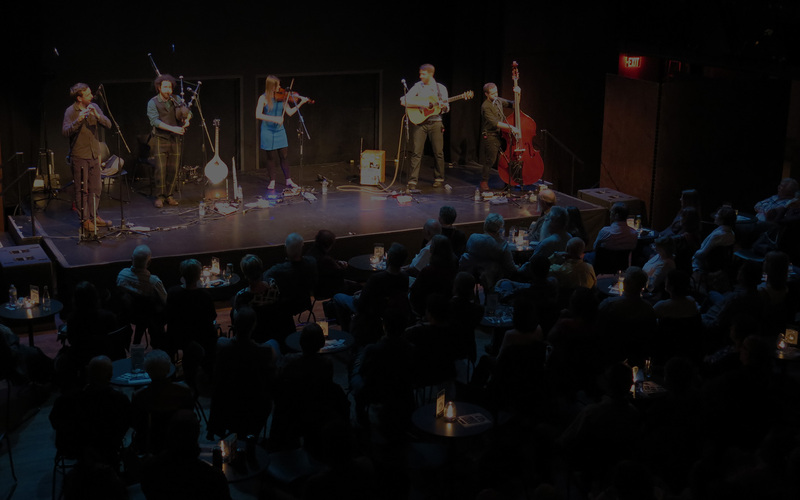 Folk Under the Clock is a labour of love for artistic director Mike Barker, who founded and runs the concert series along with his wife, Sonja, and a dedicated group of friends. Mike has been involved in the folk music scene for over 35 years in Peterborough and Edmonton. He’s been a judge for the 2004 Juno Awards, served on many local music committees, and contributed to the yearly “Critics Choice” selection published by Penguin Eggs magazine. Mike has also served as a judge for the Canadian Folk Music Awards. 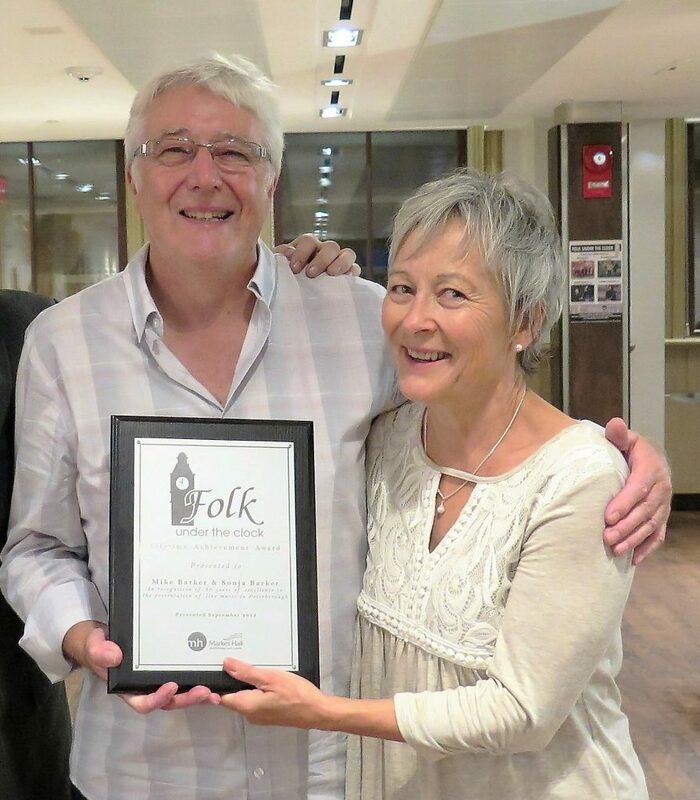 Mike was honoured to be inducted into Peterborough’s Pathway of Fame in September 2014 for bringing folk and world music to the stage in Peterborough for over 30 years.